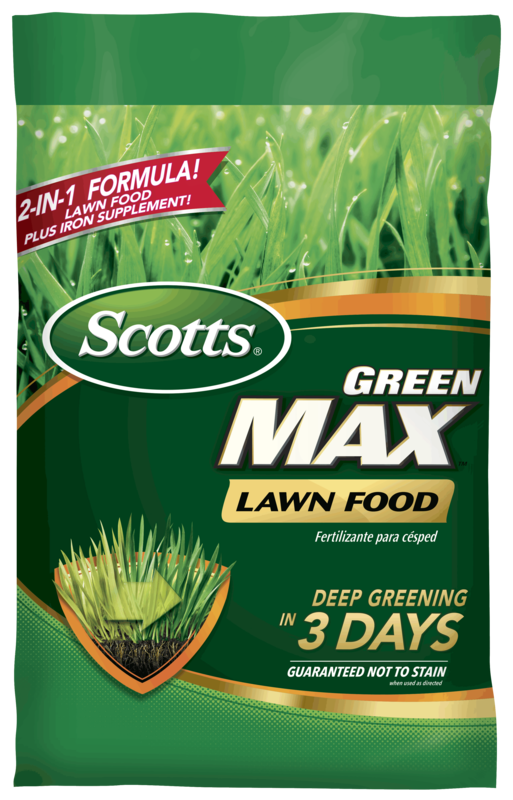 Scotts® Green Max™ Lawn Food is a unique, dual-action formula that feeds your lawn and provides a deep greening in just 3 days! Our lawn food contains 5.17% iron, an essential micro-nutrient that enhances the greening process so you see results fast. Each granule is 100% nutrition, so your lawn gets all food and no filler. 5,000 sq. ft., 10,000 sq. ft. Apply to a wet or dry lawn on a calm day. For best results, use a Scotts® spreader.